The book consists of 556 A4 pages with “perfect” (soft) binding, containing over 6,500 lines of design calculations and 102 diagrams. The calculations follow the design methodology developed by Livio Dante Porta as used by Wardale in the redesign of his renown Red Devil, and should provide enough information to guide the design of virtually any locomotive. The calculations are published at the specific request of David Wardale who wanted his work to be made available to anyone wishing to put them to use. 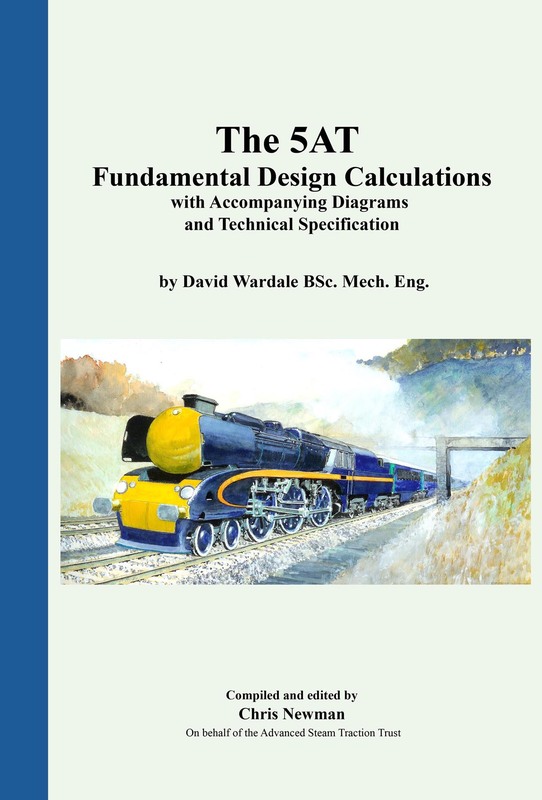 Wardale sees the published FDCs as a companion volume to his book “The Red Devil and Other Tales from the Age of Steam“ in that together they contain virtually all of the knowledge and experience that he gained in his professional career in steam locomotive engineering. The purchase price for the book is £45.00 plus postage and packing. The cost of packaging is estimated to be £1.20, while postage within the UK will be via Royal Mail at their quoted rate of £2.85. Overseas postage rates depend on the destination country as set out on Royal Mail’s website – see http://www.royalmail.com/international-zones. “Europe zone” applies to all European countries including areas of Russia that fall within Europe’s boundaries. “Rest of the World Zone 1” applies to USA and Canada, Central and South America, Africa, and Asia excluding Russia and its satellite states. “Rest of the World Zone 2” applies to Australasia and some Pacific Islands. For delivery to “high risk” countries in which mail deliveries are said to be unreliable, such as India, Pakistan, Nigeria, the Philippines and South Africa, customers will be required to accept all risks of loss. If you wish to nominate an alternative delivery company or order more than one copy of the book please contact quoting your preferred delivery company and/or the number of copies that you wish to purchase, and your shipping address. We will advise applicable postage rates and send a payment request (via PayPal) for the total amount.